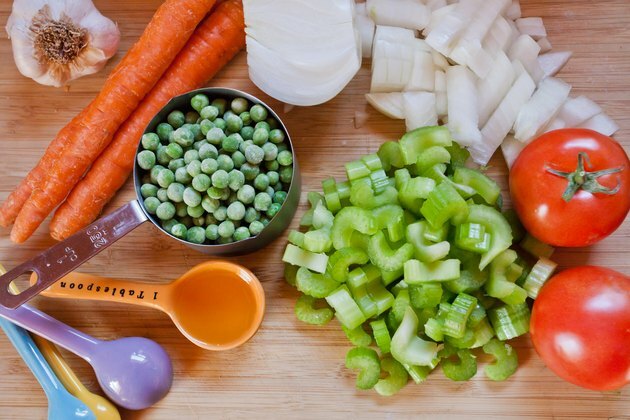 Homemade vegetable soup can be very low in calories, depending on the ingredients, and full of nutrients. Vegetable soup is made with broth and diced vegetables, and is often thickened with pureed vegetables, flour, cream, potatoes or rice. 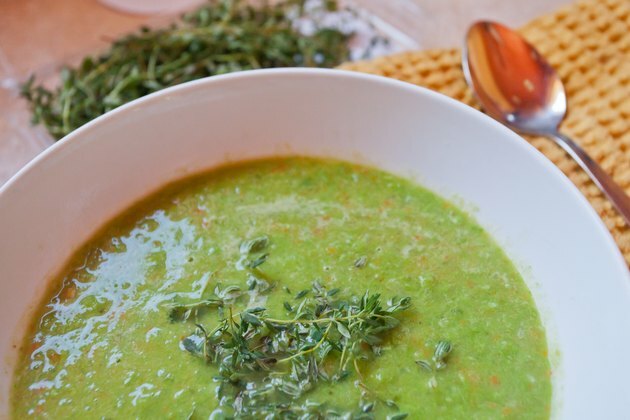 A clear vegetable soup made with 1 tbsp. olive oil, 1 cup each of onion, celery, carrots, canned tomatoes, peas, green beans and okra cooked in 6 cups of fat-free broth contains 49 calories and 2.4 g of protein per serving, according to the USDA Nutrient Database. This recipe makes eight servings. A creamy carrot soup made with 8 carrots, 4 potatoes, 1 sweet potato, 1/2 cup non-fat milk, 1 onion, 2 cloves of garlic plus seasonings cooked in 6 cups of fat-free broth and pureed makes six servings, each with 200 calories. 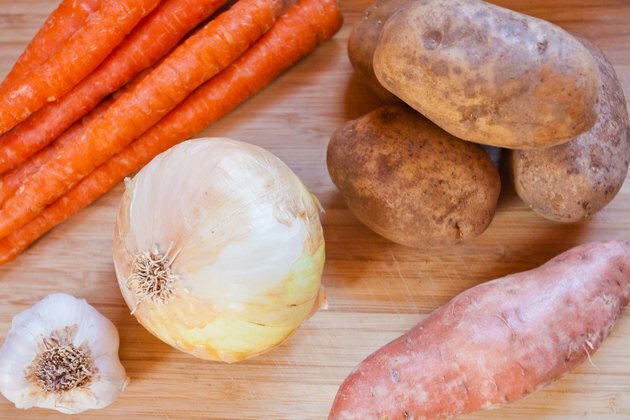 Adding starchy vegetables such as potatoes, carrots, peas or sweet potato increases the number of calories per serving. 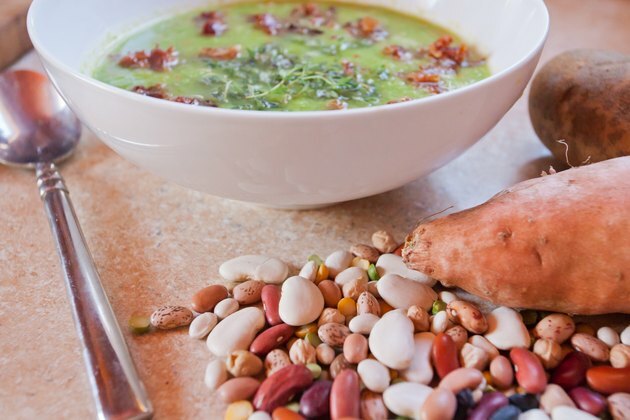 If you want to make a very low-calorie soup with a lot of nutrients, use non-starchy vegetables. However, thickening a soup with pureed starchy vegetables adds fewer calories than thickening with flour, cream or egg yolks. You can increase the protein in the soup by adding 2 or 3 oz. of lean meat per serving.